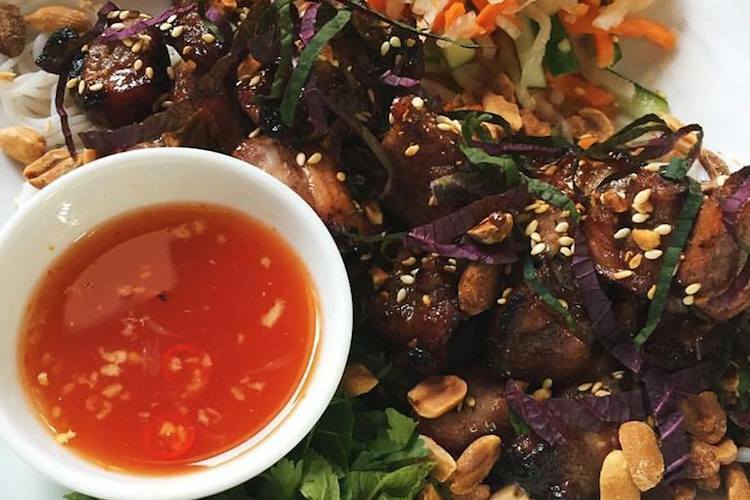 Bursting into town with tons of flavour and authentic charm is Vietnamese restaurant, Holy Phok Hove. Located on the corner of Lansdowne Place off Church Road, Holy Phok is run by a husband and wife team and is currently open Wednesday-Saturday 6-10pm. Everything about this place zings with life, the decor is a carnival of pattern and colour. Bold art and neon signage play against big leafy plants, and the bustling open plan kitchen is an eddy of activity; all of which is just a taster of the food to come. 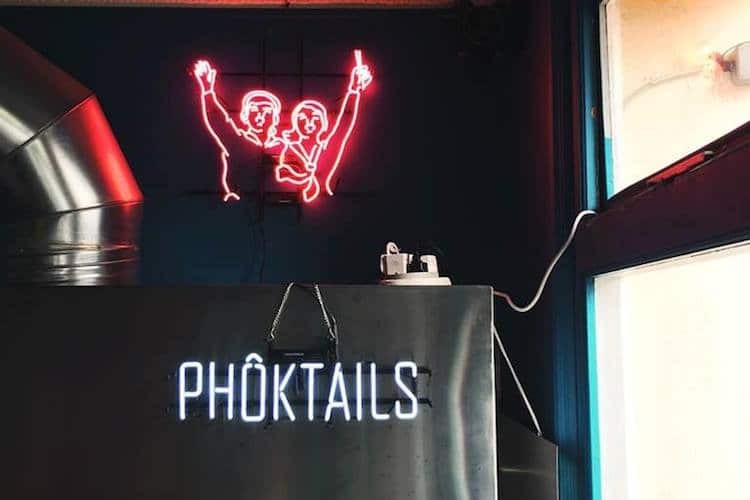 Expect traditional Vietnamese dishes such as clay pot curry, a chicken dish marinaded with chilli, ginger and garlic finished off with fresh herbs, seeds, nuts and coconut rice, it’s punchy but not a haymaker. 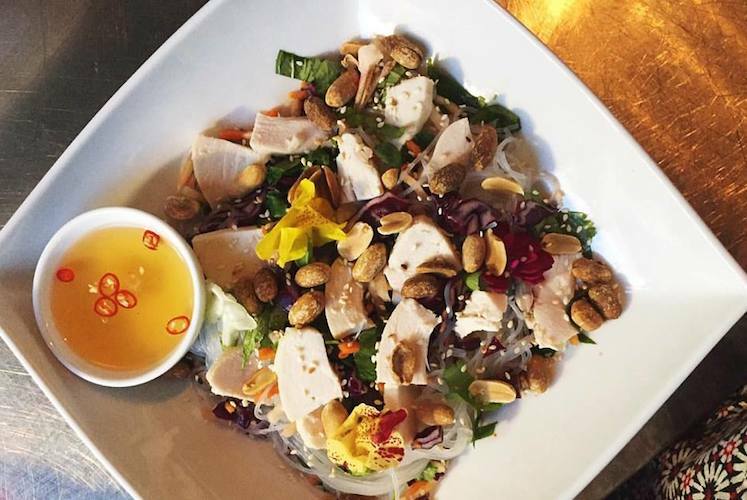 Vietnamese cuisine is probably most commonly associated with Pho dishes. 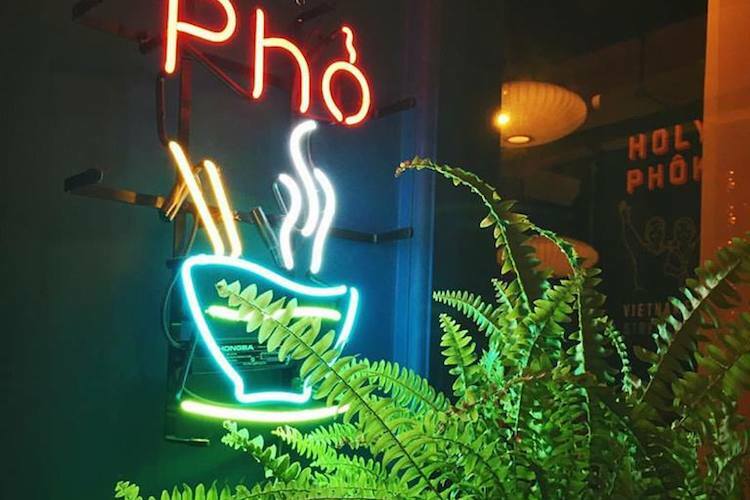 Holy Phok offers up a big bowl of chicken or beef and noodles in an intensely layered broth freshly and painstakingly prepared daily and topped with vibrant herbs and crisp greens. Other noodle dishes include two day BBQ marinaded pork, or crab and prawn cakes served with a tangy nuoc cham lime and chilli dressing. Whilst predominantly meat and fish based there’s no need to leave your vegetarian or vegan friend home alone as there’s at least one worthy dish on each section of the menu, and it’s guaranteed not to be a sad flavourless afterthought. Drinks wise there’s a good selection of wines and Asian beers, but for the full experience try one of the fruity “Phocktails”. Finish off your evening with a great Vietnamese take on a few classics, like coconut and mango rice pudding or a Vietnamese chocolate brownie, and whilst you’re letting that all go down you can plan in your next visit. Vietnamese cooking at it’s best. Simple, amazing flavours. Must try.